Brittany offers clients the total package. Her experience combines real estate and business savvy to give her clients the superior service they deserve. She has a focused persistence and an unwavering dedication to her clients' goals and expectations, providing the highest quality representation, professionalism, and uncompromised customer service. Brittany is an enthusiastic Realtor who pays particular attention to detail to make the process of buying or selling a home seamless. Brittany is carrying on a family tradition of high quality in residential real estate and residential development that began over 65 years ago. Brittany has taken that tradition to @properties and is serving the needs of buyers and sellers in Lake Forest, Lake Bluff, Highland Park, Lincolnshire, Deerfield and the surrounding neighborhoods. Her connections span across the country, which allows her to match her clients moving out of the area with top agents in other communities. Brittany believes home buying and selling are experiences of a lifetime, and should be treated as nothing less. Brittany Tennett has a team of graphic artists to create marketing materials for your home that will appeal to prospective home buyers. Brittany's strategic social media program includes posting up-to-date real estate trends to making important connections. Brittany strategically utilizes this significant platform to provide the information you need as well as bring more buyers to your property. 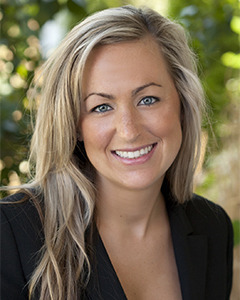 Brittany is dedicated to gaining the exposure you need for your exceptional home. Her program offers a number of customized resources designed to showcase your property. With 90% of buyers starting their search on the internet, Brittany comes to real estate with an unparalleled knowledge of internet marketing and social media. Brittany incorporates technology to deliver invaluable information in innovative ways, bringing a modern approach to both buyers and sellers of residential real estate. This includes distribution with top websites including Realtor.com, Zillow and Trulia. Brittany rounds out the whole package by employing traditional methods for advertising, including luxury print media, and targeted mailings coupled with professional photography to present your home in the most flattering manner. When working with Brittany Tennett, she will take care of all your home buying needs. From researching communities to showing you available properties to negotiation on your behalf, she will be with you every step of the way. When searching for your dream home Brittany will provide detailed information on any property currently listed for sale. She will always give you her utmost attention, the attention you want, the attention you deserve. Simply stated, with Brittany Tennett you receive the ultimate result- a successful real estate experience. Before entering the world of real estate, Brittany spent six years at a global management consulting, technology services and outsourcing firm as a business solutions consultant. Brittany is a graduate of Fordham University in New York City, New York where she earned a B.S. in Business Administration/Finance, a minor in Economics and a specialization in International Business . Brittany and her husband are raising their three young children in Lake Bluff where her husband grew up.